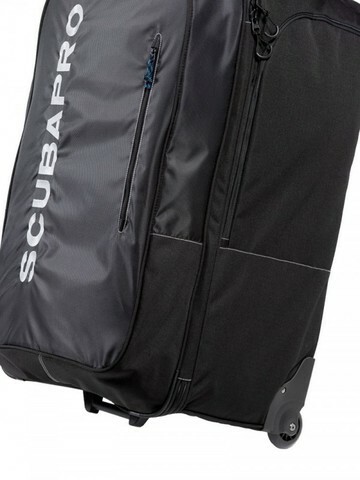 Ample stowage space lets you organize gear for serious dive trekking. 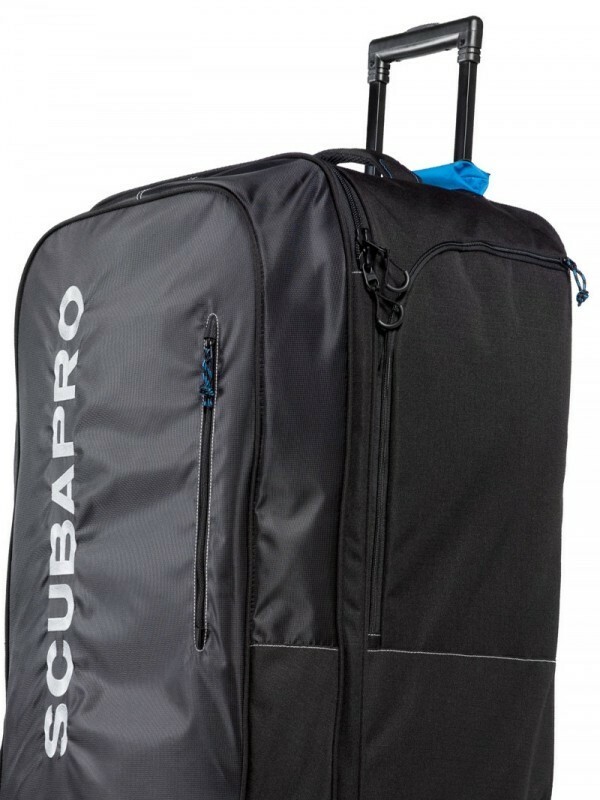 Lightweight yet durable, the new XP PACK DUO rolling dive bag is an ideal gear carrier for world travelers. 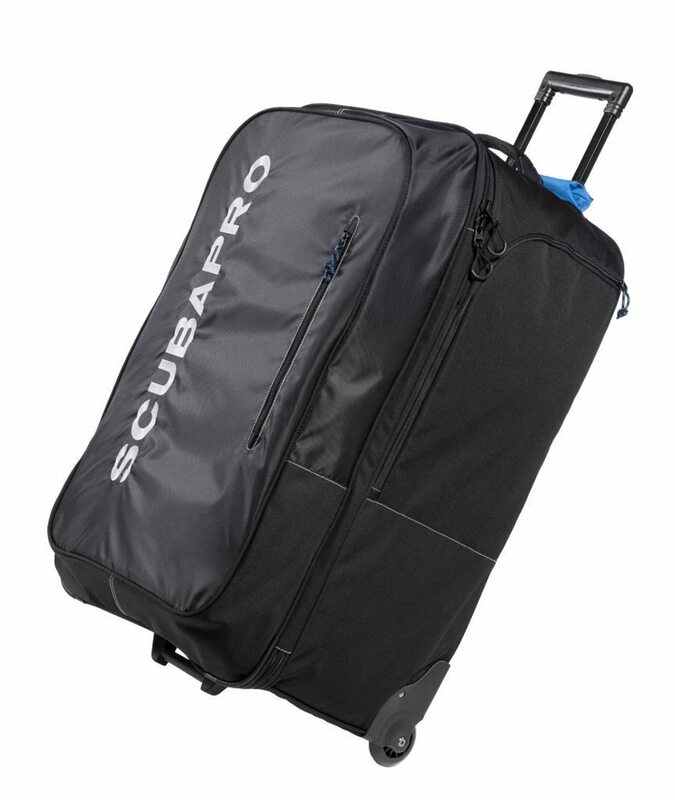 The huge main compartment features two mesh pockets for organizing smaller items, plus a zippered sleeve on the front cover provides easy-access stowage for items you might need to get to while en route to your dive destination. The telescopic tow handle and a pair of reliable wheels allow for the near-effortless rolling transport of gear. Made from a durable combination of 420D nylon NT and 450D Rip-stop with polyester thread stitching. Inside lining is made of 150D polyester PU. 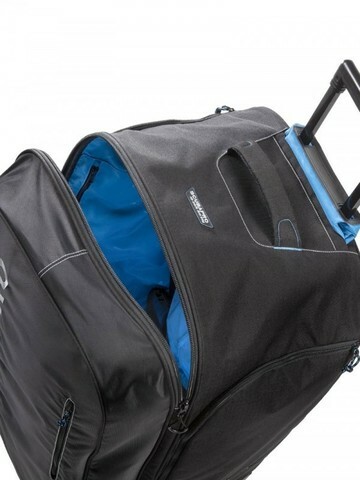 Main zippers are YKK saltwater-resistant and feature double sliders for easy access. Telescopic tow handle makes for easy bag handling. Reliable wheels allow for the near-effortless transport of gear. Padded carry handle lets you conveniently tote or lift the bag over uneven terrain. Dimensions: 31.5x19.3x16.9in/80x49x43cm. Weight: 10.0lbs/4550g. Volume: 44.6gal/169L.